The only free agent of major consequence the Patriots still have dangling is kicker Stephen Gostkowski. And we've now got some clarity on his situation. 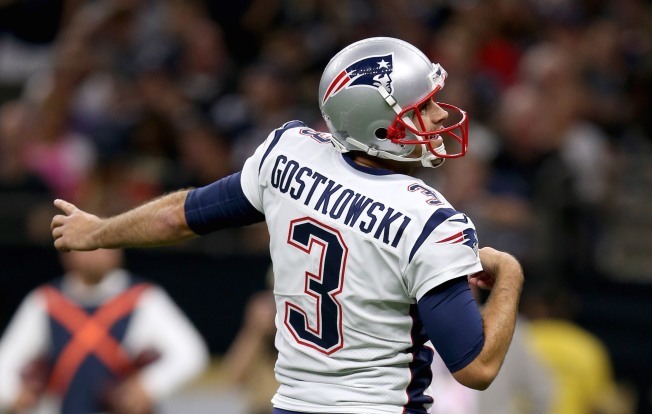 Gostkowski, 35, is not retiring. And while there has been outside interest, he and the Patriots have made progress toward getting him a new deal. Gostkowski has never been an unrestricted free agent. He was given the franchise tag by the Pats in 2015 and then signed a four-year extension later that same year worth $17.2 million. Selected by the Pats in the fourth round of the 2006 draft as a replacement for Adam Vinatieri, Gostkowski is the Patriots' all-time leading scorer. His 41-yard field goal with less than two minutes to play clinched the Pats' 13-3 victory over the Rams in Super Bowl 53.